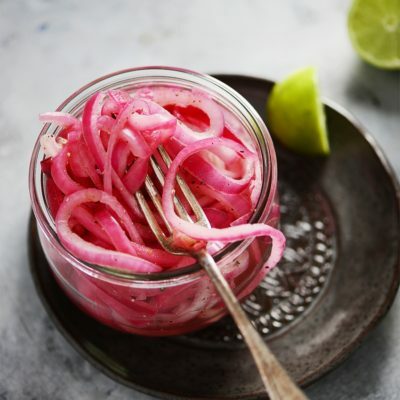 An easy recipe for Mexican Pickled Onions using red onions and lime juice as your base. A very popular condiment in Mexico for tacos & tortas. In a glass bowl or jar, add all ingredients and toss to combine. Taste again before serving and add salt if needed. The onions will turn into a deep pink color the longer they’re cured in the lime juice. I usually prepare this the night before I plan to serve them. Can be stored in refrigerator, covered for up to 1 week.